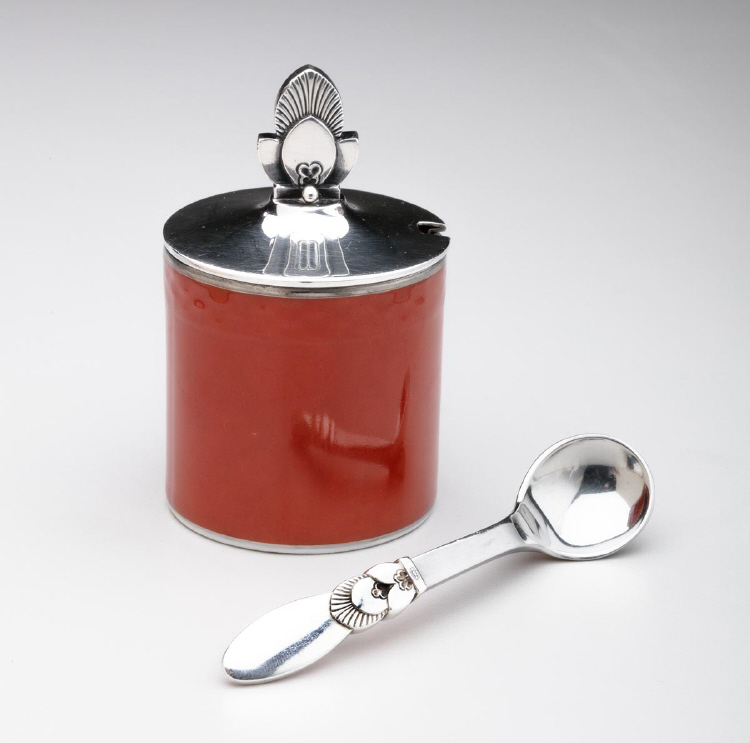 A rare Georg Jensen Cactus mustard pot and spoon, design #815 by Gundorph Albertus. 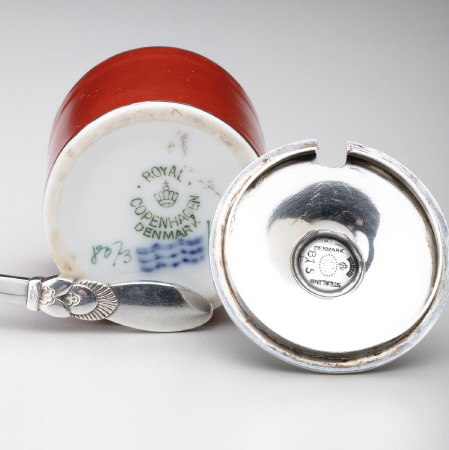 The Royal Copenhagen red porcelain mustard pot Measures 1.75"in height and 1.75" across including handle. 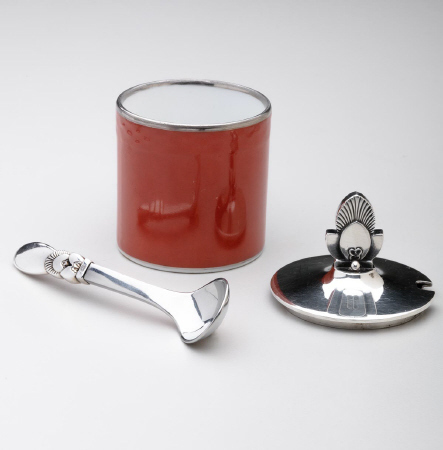 The mustard spoon has a silver handle and stainless steel spoon, measures 2.375" in length. Impressed company Marks : Georg Jensen Denmark 925S 815 - see additional images. In excellent condition.